This workshop is all about refresh and restore. It is the best AfterWork you can give yourself on a Friday evening. Using techniques from AntiGravity® Restorative Yoga and Divine Sleep® Yoga Nidra, find a safe and nurturing place to bring peace to body, mind and spirit. It is also said that 30 minutes of Yoga Nidra meditation is equal to 4 hours of sleep. Level: Open level. This class is suitable for those with physical limitations. But it’s suitable for everyone as it will increase mobility of the back and help you to connect with your body. 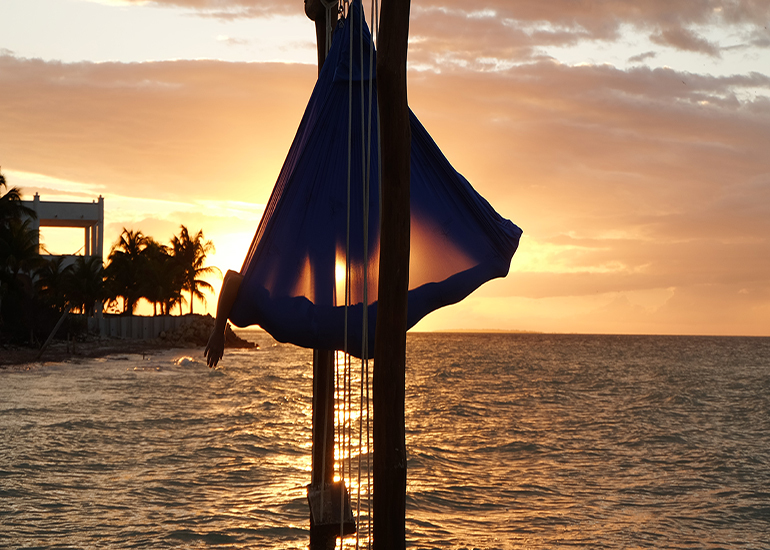 If you would like to know more about AntiGravity® Restorative Yoga, please check this out. Clothes: Tshirt, tights without zippers, barefoot and without jewlery. Also bring socks and an additional warm top with long sleeves. Come and give yourself a healing experience.